My love for weddings has endured over many years, starting with my mom buying me Bride magazines in elementary school for fun, to taking part in many of my friends best days, to just never letting go of believing in true love. Now that I've attended over 100 weddings as a photographer - I realize there is even more that I love about them. The small moments that happen in between the big ones - The father giving his daughters hand a squeeze before they walk down the aisle, the flower girls well prepped and watching with big eyes as the day unfolds, to the one guy (or gal) on the dance floor that is totally feeling Earth, Wind and Fire's Dancing in September (because let's be honest, I'm feeling it too). Every moment of the day is important to me. I don't have favorites because the magic sometimes happens in the quiet moments, sometimes in the unexpected moments and sometimes in the perfect light. I'm here to find that magic with you. And that my friends, is why I love my job so dang much. Hello! My name is Liz Seidel and I can't wait to spend time with you! 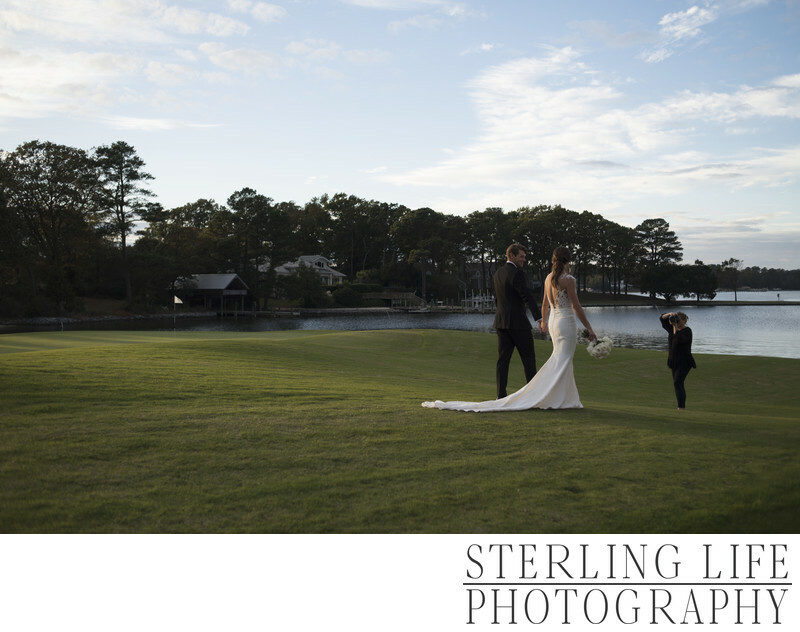 I am the sole owner/photographer at Sterling Life Photography. I have been documenting weddings and people full time since the summer of 2015. I have two beautiful children that keep me busy and laughing. I love driving with no destination while listening to audible, wine, a good laugh that makes your cheeks hurt, and melting into the scene at weddings. This is me on a really good day. This is me with fake lashes and curled hair, taken by my dear friend in my downtown studio. 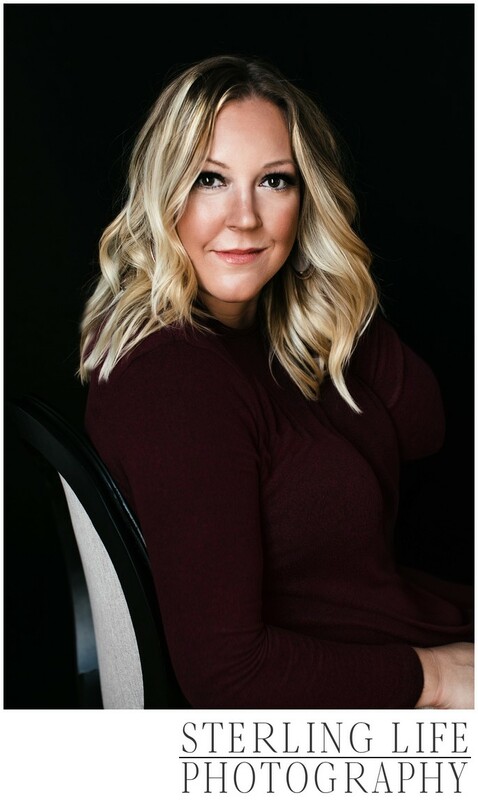 While I don't get the luxury of looking this awesome everyday - i totally believe everyone deserves to have gorgeous photos of themselves - whether it be at their wedding, with their family, or in my studio. I currently live in Lynchburg, Virginia, but often travel to for weddings and sessions. I have photographed weddings all over Virginia including Lynchburg, Roanoke, Charlottesville, Virginia Beach, and Richmond. I'm lucky enough to include Pennsylvania, New Jersey, Arkansas and ohio to that list as well. I LOVE meeting new people and reconnecting with clients over the years. Originally being from the beach, I have left part of my heart and friends and family there and I will always be connected to it. Lynchburg truly is the heart of Virginia. It is a wonderful place with a slight southern charm and mountains that take your breath away in the fall. I'm so thankful to have the support of some of the most amazing people in the industry as well as my beautiful family and friends who have seen me through it all and support me in the best ways. You have found the love of your life and you're making big plans for the best day with tons of your favorite people. You are open and trusting to push the limits of typical wedding photography to make some art out of your day. Candids are important to you. I hope you enjoy looking through my photos as much as I enjoy taking them. I am so thankful for all the amazing people who open up their lives to me, and allow me to be a part of capturing such sweet moments and important memories. Photographs are so important to everyone, they become your life's history. To me, life is all about having love wherever your journey takes you, and That is something I have learned along the way. Here is a photo of me working a gorgeous day at The Cavalier Golf and Yacht Club in Virginia Beach. You can see the photo that resulted here. If you’re looking for a professional photographer for your wedding, I would love to hear from you. I specialize in wedding photography as well as in home lifestyle and studio sessions, which you can see more of here. Ready to connect? I'd love to hear from you! Fill out the contact form and let's chat! I've been so fortunate to have some of my work featured in both print and digital publications. I was also honored to win a 2017 Reader's Choice Award for Lynchburg's News & Advance. Since I am not native to Lynchburg, and built my business here from the ground up over the past 5 years, and only doing weddings full time since July of 2015, I felt so honored to have received this award and appreciate the support from our local community. The photo below of my kids was featured in the September 2017 Black and White issue of Shutter Magazine. Any photographer will tell you that taking photos of your own kids is like a whole new ball game. When they aren't in the mood, I try not to push them to let me take their photos. I want them to want to be photographed. So this was a rare moment of pure bliss as not only a photographer, but as a mom too. Sterling and Palmer. My babes.